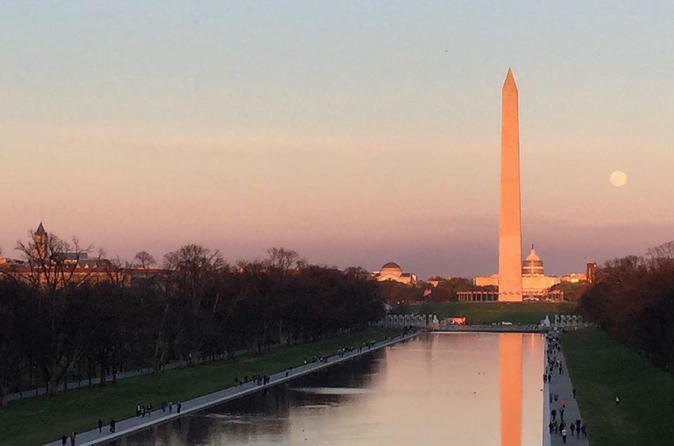 Explore Washington's most iconic landmarks through an architectural lens on a walking tour of the National Mall. Take in the towering Washington Monument, sobering Vietnam Wall and awe inspiring Lincoln Memorial while learning about the designers and politicians that helped shape this monumental core of the Capital. Hear stories of the history, heroes, and hopes of the United States on a stroll through the heart of Washington DC! This tour meets at the Washington Lodge, just to the East of the Washington Monument. The tour takes about 2 hours and covers approximately 1 mile, ending at the Lincoln Memorial.